ESPN commentator Jason Witten has decided he doesn’t want to permanently hang up his helmet just yet. The former Dallas Cowboys tight end is stepping out of the booth and returning to the football field. Witten announced today that he would return to the Cowboys for his 16th season in the National Football League. Witten is second all-time amongst tight ends with 1,152 catches and has been selected to 11 pro bowls, a Dallas Cowboys record for offensive players. 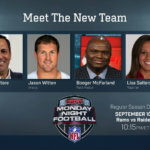 Witten spent one season as part of the Monday Night Football commentary team after retiring from football last year. 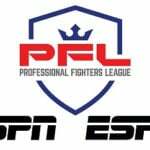 ESPN, ESPN+ and the Professional Fighters League (PFL) have signed a multi-year agreement making the sports networks the official United States home of the PFL. Major League Soccer and ESPN+ have released a 10-part documentary series called We Are LAFC. 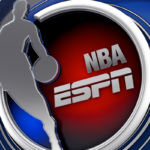 ESPN will air innovative coverage of an upcoming NBA contest between the Los Angeles Lakers and the Milwaukee Bucks with their Full Court Press Second Spectrum presentation.